Our client came to us after an incident with a basketball pole. 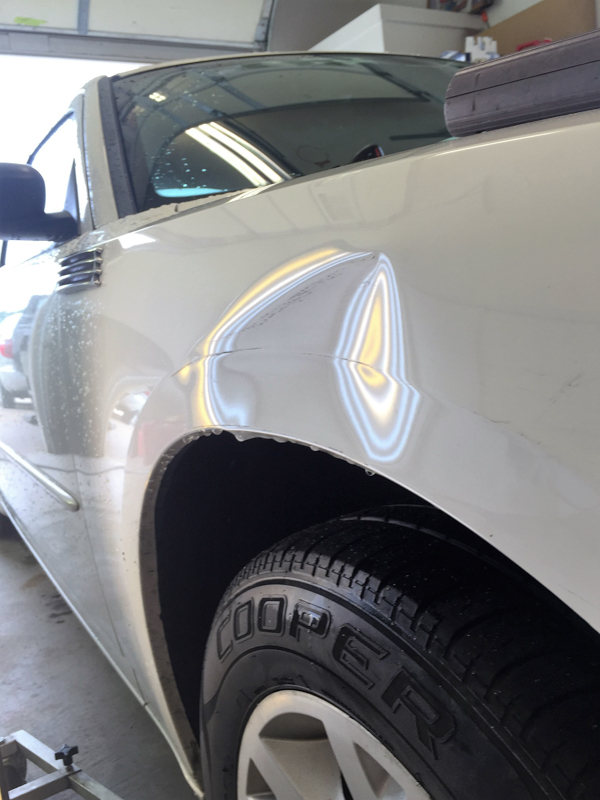 He was unsure if it could be repaired without taking it to a body shop, but we were able to get the fender back just as it looked before the incident! This aluminum panel was damaged by a rather sharp object. 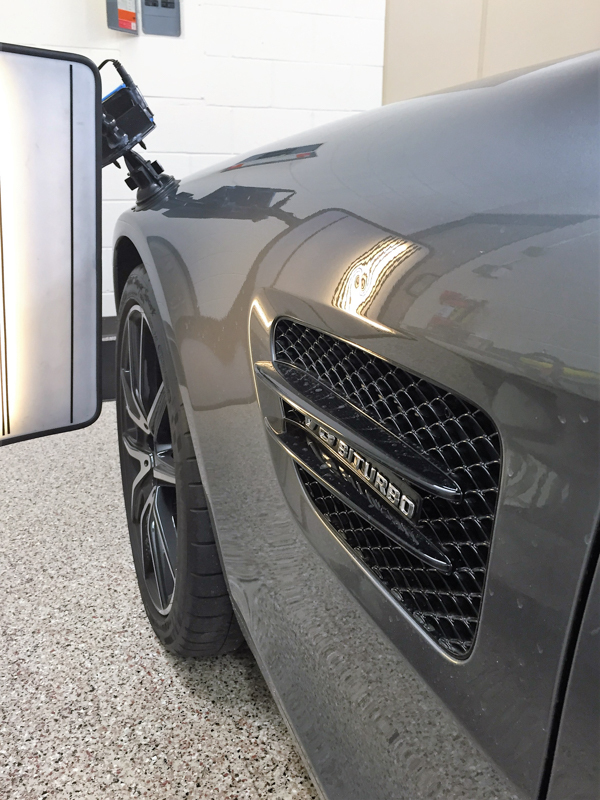 Restoring aluminum back to its original shape requires a highly skilled technician. We won’t stop until the repair is perfect! 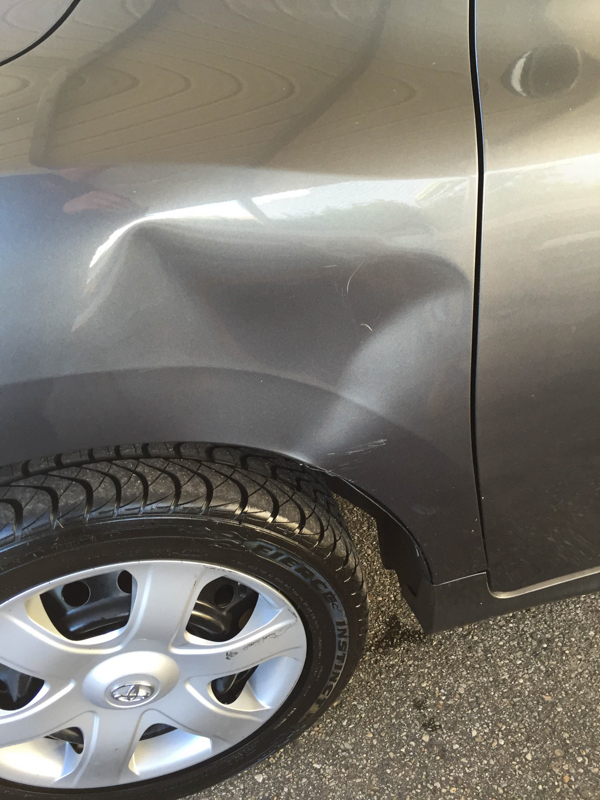 This fender was headed to the body shop, but the used car lot manager didn’t want to have it replaced and painted. 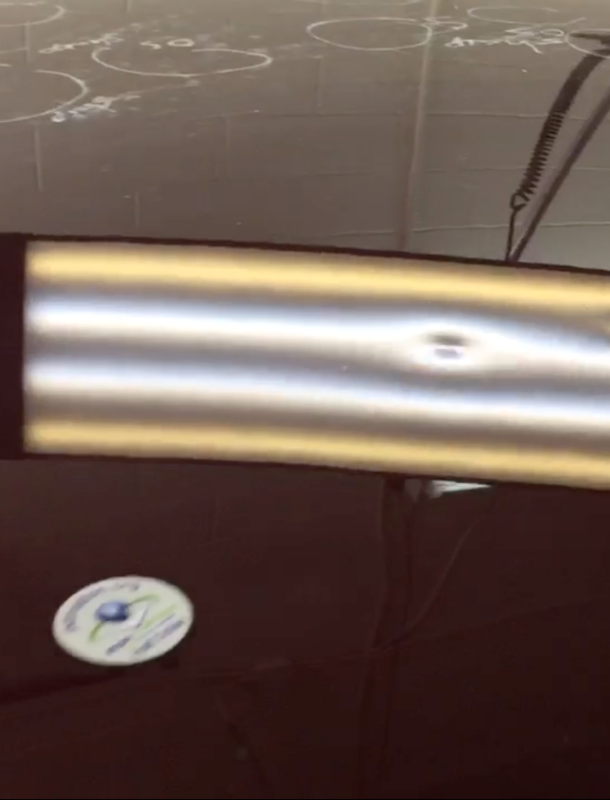 Dent Tec’s repair saved loads of time so that the car could be out on the lot faster instead of stuck in the body shop!